A general power of attorney authorizes an agent to transact business for the principal (the person the agent represents). This is an unlimited power of attorney, which allows the agent to make medical decisions, legal choices, and/or financial decisions. General powers of attorney are intended to cover all the powers state law permits an agent to possess. A power of attorney with restrictions may be referred to as limited, specific, or special. This type of power of attorney limits the agent’s authority to those specified in the power of attorney. This could be a medical power of attorney, or a power of attorney limited to financials, or many other things. Furthermore, special or limited powers of attorney are restricted by time or scope, and may involve single transactions. This type of power of attorney survives even while a principal is incapacitated; otherwise, a power of attorney that is not durable and is enacted prior to incapacity will become ineffective. In Colorado we have the Uniform Durable Power of Attorney Act (UPOA), under which it is presumed that unless stated, a power of attorney is durable in nature and will continue if the principal becomes incapacitated. In general, a power of attorney becomes effective when it is executed. However, it may also become effective upon the happening of certain events as provided by the principal in the power of attorney. This is referred to as a spring power of attorney. Usually, springing powers of attorney are activated upon the incapacity of the principal. The principal revokes the agent’s authority or the agent dies, becomes incapacitated, or resigns, and the power of attorney does not provide for another agent to act under the power of attorney. If you need help drafting a power of attorney, be sure to seek the experience of an attorney. 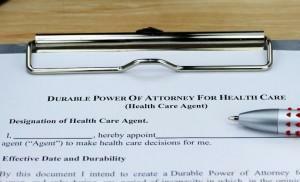 There are certain requirements you need to fulfill in order to properly execute any type of power of attorney. Served with a Subpoena? What to do Next.